World Plumbing Day is on 11 March every year and in 2018 that is this Sunday. Established by the World Plumbing Council, (WPC) in 2010 it is now celebrated around the world to promote the critical links between proper plumbing sanitation and human and environmental health. As the World Health Organisation continually promote ‘Plumbing is Public Health’. This is further reinforced through a survey of 11000 doctors by the prestigious British Medical Journal in 2007 that voted overwhelmingly that the world’s most significant medical milestone since 1840 was sanitation. This was despite all the incredible medical breakthroughs in that time. Doctors recognised that the installation of a reliable sewage disposal system and a reliably clean water supply was judged the most significant medical advance in modern times. Sadly in Australia and many other developed countries, we take our plumbing and sanitary drainage systems for granted. We think its normal to turn on a tap and get a constant supply of clean drinking water. We think nothing of going to the toilet and flushing the cistern when finished. We believe having a long hot shower is normal for everyone. In many countries, a plumbing infrastructure that we have here in Australia is only a dream. 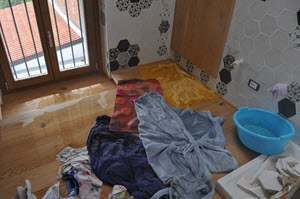 In too many countries right now plumbing at best is very basic and at worst downright non-existent. In these countries the consequences of poor plumbing infrastructure cause millions of people to die. In Australia, few people pay any attention to the skills and expertise from plumbers to ensure that a buildings plumbing infrastructure is engineered to function with little fuss. It is even sadder that few people appreciate the ramifications of poorly installed plumbing infrastructure. Plumbing infrastructure in Australia has always been at the leading edge of the technology as it continues to develop. 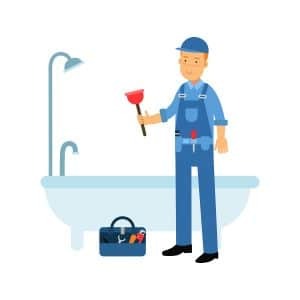 Fortunately, all plumbers in Australia have to be licensed which ensures plumbers are legally responsible for complying with the Plumbing Code of Australia and relevant state legislation. This is not the case in many other countries with unskilled people installing poor quality infrastructure. Plumbing is vital to everyone’s health and deserves to be respected for its essential role in promoting the link between proper quality plumbing, health, environmental sustainability and economic prosperity. Without plumbing, none of us could live in a healthy environment in our large urbanised, densely populated cities. If you don’t believe me see how long you could survive in a house without working plumbing. I continually hear many plumbers complaining that clients don’t treat them with respect and value their skills or the work they perform. But the reality is far too many licensed plumbers don’t respect themselves, their skills or their licences and are in a race to the bottom undervaluing and underselling the services they provide. Plumbers who act as professionals and treat their clients with respect and above all respect their licences will always be treated with respect in return. 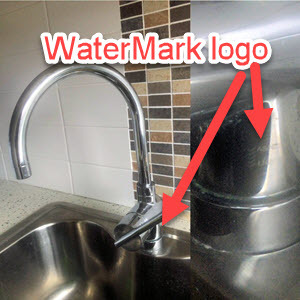 Plumbing myths are money spinners for us at Whywait Plumbing. But we wish they weren’t and you called us for advice first. So often many of our service calls to blocked drains, broken water main pipes or flooded houses are caused by common plumbing myths and could have been avoided. Forget using chemicals such as Draino to clear a blocked drain because they never work. Even if by some miracle they do the problem will return that is a guarantee. There is no DIY solution to a blocked drain and its scary for our plumbers to work on a drain full of harsh and dangerous chemicals. If your drains are gurgling or slow to drain contact us for advice but please don’t waste money on chemical solutions. Don’t be fooled by labels that say they’re “flushable” because sanitary napkins, cleaning wipes, paper towel’s, toilet scrubbers, make-up remover pads or pet litter to name a few are in reality not suitable for flushing down the toilet. 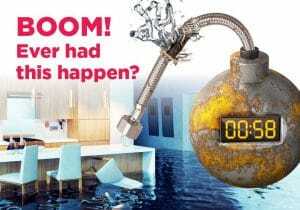 Very simply they don’t disintegrate quickly enough in the low flows of water flushed through the toilet and eventually will block your homes sewer drain. Yes we know its easy to take a photo of your plumbing problem then go down to Bunnings and show the nice man there who will try to diagnose and fix the plumbing problem on the spot and sell you all the parts to do it yourself. We see this every weekend when our plumbing technicians go out to repair these DIY stuff ups. Remember the nice man or lady at Bunnings are not plumbers they are retail shop assistants with no qualifications. Calling Whywait the first time is frequently the cheapest option because as we constantly see DIY jobs are seldom repaired correctly and continue to give problems until we repair it. These days a water leak protection system is not expensive, frequently costing less than the excess on your insurance claim. For Whywait to install a water leak protection system that prevents flooding with a main water shut-off should a leak occur in your water main, internal water pipes, hot water heater, dishwasher, laundry washing machine and more guarantees your home with a lifetime of protection. Don’t be fooled into thinking your hot water heater will last forever because the average life of a Rheem or Dux HWS is 7-12 years. Yes you can extend their life by regular maintenance but you must have a regular preventative maintenance programme rather than waiting until a leak occurs because by then its too late. It is almost inevitable that your lack of maintenance will result in a leak while you are on holiday or while you are sleeping. Remember plumbing problems never go away until proper repairs are undertaken.